A quick reminder to let you know that you can now pre-order both Remembering the Battle of the Crater: War as Murder [July 2017] in paperback and Interpreting the Civil War at Museums and Historic Sites [September 2017] direct from the publisher at a 30% discount. For the first book, use the code [FS30] at checkout and for the latter use [RLFANDF30]. Carole Emberton and Bruce E. Baker eds., Remembering Reconstruction: Struggles Over the Meanings of America’s Most Turbulent Era (Louisiana State University Press, 2017). 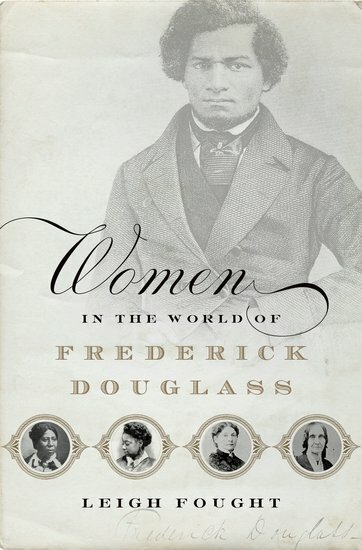 Leigh Fought, Women in the World of Frederick Douglass (Oxford University Press, 2017). David Goldfield, Still Fighting the Civil War: The American South and Southern History (Louisiana State University Press [updated edition, 2012]). Tera W. Hunter, Bound in Wedlock: Slave and Free Black Marriage in the Nineteenth Century (Harvard University Press, 2017). James A. Percoco, Take the Journey: Teaching American History Through Place-Based Learning (Stenhouse Publishers, 2017). Thomas J. Ward, Out in the Rural: A Mississippi Health Center and its War on Poverty (Oxford University Press, 2016). At the risk of sounding like an old Bartles & James commercial, thank you for your support! My pleasure. I just finished the first chapter and am really enjoying it. Best of luck with the book. My wife worked for four years as a nurse practitioner, courtesy of the U.S. Public Health Service, at the clinic in Mound Bayou described by Thomas Ward in ‘Out In The Rural’. She knew the clinic’s founder, who is apparently a central focus of the book. Nurse practitioners were still a new concept then and rural clinics were an excellent proving ground. We were married for twenty years before we determined how our common Wisconsin roots are connected to Mississippi during the Civil War. Sounds like you should pick this one up as well. Tom is a friend of mine and an excellent historian.